Let's Just Build a House! : Recipes: Pumpkin Fluff Frozen Treats! Recipes: Pumpkin Fluff Frozen Treats! Who else craves ice cream treats still in October? Well, I tell ya what. When it’s 80 degrees in southern Illinois in the middle of October... (what is happening weather??) frozen treats do not sound bad at all. Pumpkin frozen treats? Right up my alley. You have probably all seen the “pumpkin fluff dip” recipes all over Pinterest. Have you tried it? It’s delicious. But, it gets better! I used a version of that to create my own Fall pumpkin treats--FROZEN! 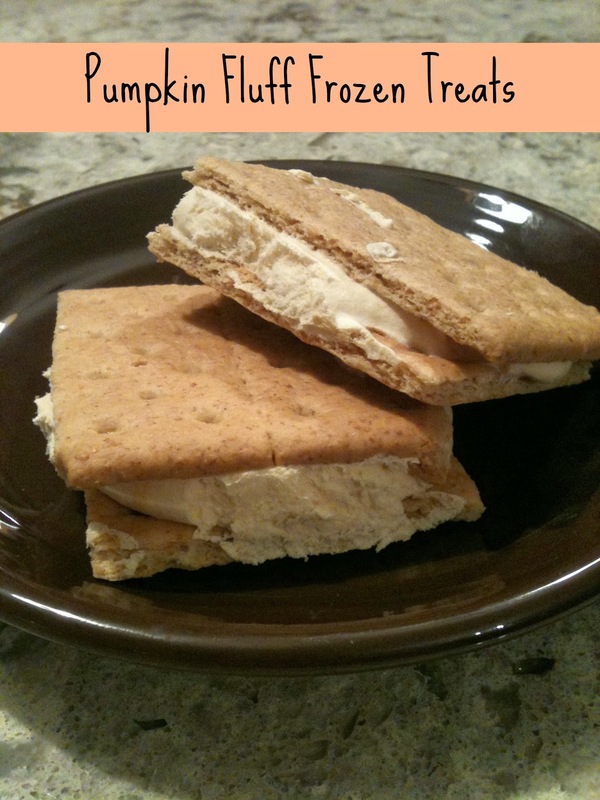 Frozen pumpkin fall treats, everything but the graham crackers! Grab a big bowl and a spoon. cream cheese first. I used a little hand mixer, but not necessary. pumpkin fluff in between and make a sandwich. There is your delicious pumpkin “ice cream” treat. And, bonus, you can use all low fat and sugar free versions and it will be a lot healthier than ice cream too! 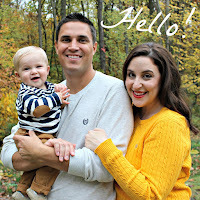 PPPPPSSSSSSSTTTTT...See my other Pumpkin Parade post (My first Fall vignette included!) Here! Do you ever crave ice cream in Fall and Winter? I am too because I ate them all. Shoulda made a double batch! This sounds amazing. I love pumkin shakes so this is right up my alley. Thanks so much for linking up, friend! Girl me too. I want a pumpkin shake right now! Oh. My. Gosh. Must make these ASAP! Oh man. These look So good! !